Marriott’s latest in its integration of Starwood — and its much-loved SPG loyalty program — is a unified rate chart for points redemptions. One unexpected thing: The company’s ultra-luxe, all-suite resorts, such as the St. Regis Maldives, can temporarily be booked for 60,000 points a night, a very good deal. What’s the point of airline credit cards in a Sapphire Reserve world? Travel-focused credit cards like the Chase Sapphire Reserve and American Express Platinum — which let you earn points rapidly and redeem them for a variety of free travel — have leapfrogged airline and hotel credit cards in value and utility over the past few years. And that makes sense: Why restrict yourself to earning miles for one airline’s frequent-flyer program when you can earn points toward booking flights on any airline you want — or transfer them to a dozen or more airline and hotel partners? Especially as airlines continue to do things that make their points worth dramatically less, like increasing how many points they charge for award flights, or reducing how many award seats they release per flight. A few Points Party readers (hi, Rachael!) have written in to ask questions like: Why keep a United Visa card when you can earn the same — or more — United points by using a Chase Sapphire Reserve and simply transferring them over to United? The answer depends on a few factors, including how often you fly, whether you have (or care about) elite airline status, if you check bags, and if you want to use specific airline lounges. Points value aside, sometimes it’s useful to have airline cards for their other benefits, even if you don’t shop with them. Some of these benefits seek to restore humanity to the travel process: Many cards offer free checked bags and early boarding, which can be useful perks if you like to fly the same airline but don’t fly enough to have elite status, which typically includes both of those privileges. Some help you earn elite status faster — which leads to things like free upgrades, fewer airline fees, and global lounge access — by spending a certain amount of money on the card. Some also include airline lounge/club membership as part of their (usually more expensive) annual fees. Again, many of these benefits can be helpful — or even profitable — even if you don’t use the card to shop frequently. Pretty much every airline has a card or two like this, each with its own perks and quirks. Alaska Airlines’ card, for example, offers an annual “companion fare” that lets you bring a friend along on a flight for $99 plus taxes. 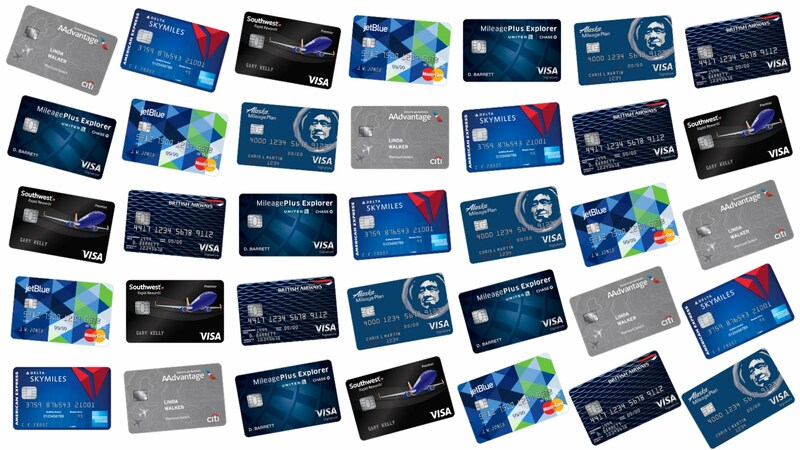 Spending $25,000 a year on Delta’s SkyMiles cards from American Express waives your minimum ticket spending requirement to achieve most levels of Delta elite status. 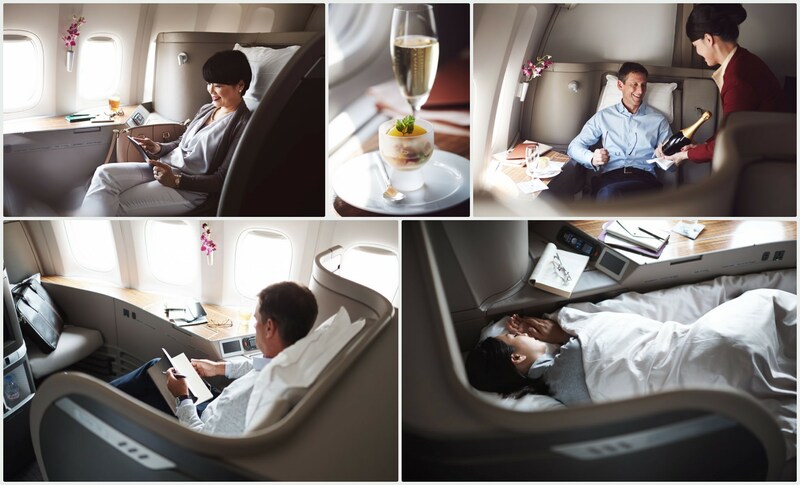 And most come with decent sign-up bonuses, if you’re closing in on an award flight. Still want to get rid of it? Moved cities or switched airlines? It may be good for your credit score to keep that account open, but simply downgrade it to a different card that has no annual fee. One of the many components of your credit score involves how long your accounts have been open — the longer, on average, the better, in general. Another is what percentage of your total credit limit you’re using at a time. Call your credit card company for details. They might try to offer you some sort of deal — free miles, usually — to keep the card open. But they should also be able to help figure out a free card that you can keep parked to keep that credit line and limit aging gracefully with no balance. What about all those points? Do you need to move them? Generally no. Because airline-branded cards deposit the points directly into your frequent flyer account, the points aren’t tied to your card. If you cancel or downgrade your card, the points don’t disappear. Most airlines do, however, have expiration policies for points, but you should have many months to figure out what to do with them. I interviewed Airbnb CEO Brian Chesky at the Code Conference. We didn’t really talk about Superguest, Airbnb’s forthcoming loyalty program, but he gave a nice glimpse into how he’s thinking about expanding the company’s offerings — including its Experiences product — and some of the struggles it’s dealing with as it continues to grow. Chase is removing the Sapphire Reserve’s “price protection” benefit — which lets you claim money back if the price of certain items you bought with the card goes down — on Aug. 26. (My guess is that internet price trackers are making that benefit too costly to continue offering.) Meanwhile, Chase is adding “a new offering of vacation rental properties” to its Ultimate Rewards booking portal. The Chase Sapphire Reserve is my favorite credit card for travel points. In short, that’s because it allows you to earn a lot of points quickly and redeem them at a good rate, easily making its high annual fee worth the investment. Here are two intermediate-level strategies that will help you earn more every year — potentially tens of thousands of points, worth hundreds of dollars in free travel — with no added cost. I actually only use the Sapphire Reserve for travel and dining purchases, where it earns 3 points per dollar, and foreign transactions, as it has no fee for those. 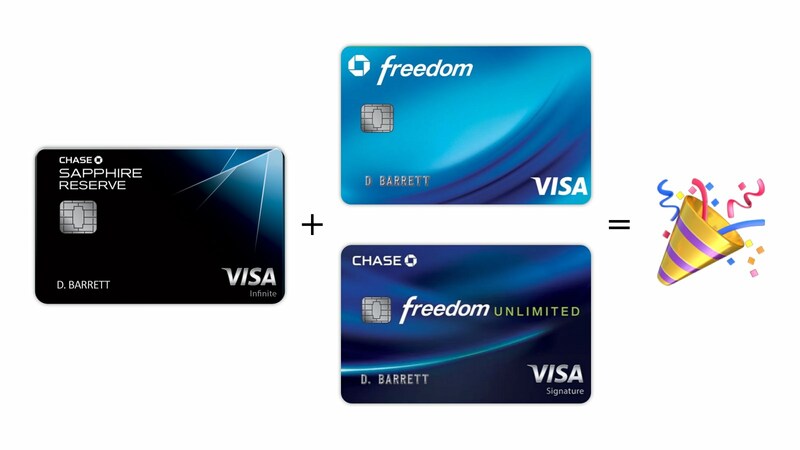 For most everything else, I generally use one of Chase’s two Freedom cards. These cards were designed for more entry-level users, and have no annual fee. But when combined with a Chase Sapphire Reserve or Preferred, they add serious points-earning potential. The Chase Freedom Unlimited earns 1.5 points per dollar on everything, regardless of category. That’s all. But that’s 50% more than the 1 point per dollar that the Sapphire Reserve earns on “everything that’s not travel and dining” spending. The Chase Freedom earns 5 points per dollar on specific bonus categories of spending that rotate quarterly. This April through June, for example, you can earn 5 points per dollar at grocery stores and when spending through PayPal or Chase Pay. The play for both of these is that you can use Chase’s Ultimate Rewards portal to transfer the points instantly to your Sapphire, where they’re worth a lot more. For starters, as discussed in greater detail here, you can redeem them to book flights or hotel rooms through Chase’s portal at a rate of 1.5 cents per point. Or you can transfer them to 13 partner programs, including United Airlines, Hyatt, Southwest, and Air France, where they could potentially be worth much more in award redemptions. Because of that flexibility and its potential, I generally assume Chase points are worth 2 cents per point — twice as much as many cards’ points programs, which you can often only redeem at 1 cent each. If you were using the Sapphire Reserve for everyday, non-travel-or-dining purchases — grocery shopping, home goods, e-commerce, etc. — you’d be earning 1 point per dollar, or about 2% back. But if you use the Freedom Unlimited for those non-travel-or-dining purchases, you earn 1.5 points per dollar, or about 3% back. That’s a 50% bump, and we aren’t even talking bonus categories yet. For travel and dining purchases, continue to use the Sapphire Reserve and get 3 points per dollar, representing about 6% back in points value. Use the Chase Freedom only for its quarterly bonus categories; at 5 points per dollar, you’re effectively earning back 10% of your spending in points value. Boom. There is one limit with the Freedom: You’re capped at 7,500 points per quarter from bonus categories, or an average $500 per month of spending on those categories. Still, if you can max out these categories every quarter, that’s 30,000 points over the course of a year — which translates to roughly $600 of rewards value. That’s just for remembering to use this free card in specific categories. What if the categories don’t line up with your spending? Get creative! Example: Grocery stores — 5 points per dollar this quarter — and drugstores often sell gift cards, which you can use to buy things elsewhere. It’s admittedly a bit of work to remember which card to use when, so this isn’t for everyone. If you insist on only carrying one card, it’s still the Sapphire Reserve. But if you can handle some complexity, it can pay off with hundreds of dollars a year worth of “bonus” rewards. Fair warning: This is going to require a level of habit-building that you might not have time or commitment for. But if you can remember, it’s an otherwise easy way to earn more points for shopping you’re already doing. 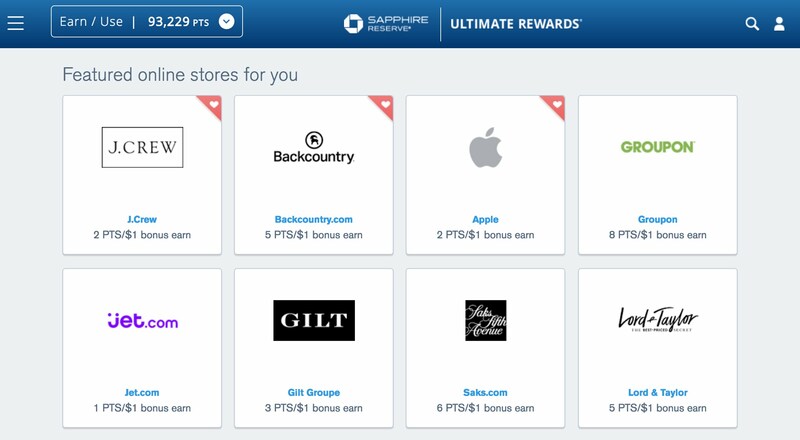 Many major e-commerce merchants offer bonus Chase points for starting your web shopping session through Chase’s referral links. If you log into Chase’s website and head over to the Ultimate Rewards section, there’s a link at the top that says “Earn Bonus Points.” This link should take you right there. Best of all, these bonus points are on top of any points you’d earn normally for using your credit card. The catch: Remembering to shop through the Chase link is a semi-annoying habit you’ll need to build over time. And these partnerships don’t work in physical retail stores. For me, once I get far enough into shopping that I decide I’m going to buy something, I think: “Is this site big enough that it would be in the Chase portal?” And then I open a new browser tab and check. But I’m the kind of person who thinks obsessively about points any time money is involved. I assume you’re not, and you shouldn’t have to be. I’m testing a few tools now that promise to make this process easier, and will report back. The value, however, is totally worth it: Assuming Chase points are worth around 2 cents each, this can earn you an extra 2% to 10% of your spending back on a lot of online shopping, just by clicking through the portal. Btw: Chase isn’t the only company with a portal like this. American Airlines, Delta, JetBlue, United, and others have similar schemes. So if you’d rather earn points for those programs, or one of them has a fantastic special going on, by all means, use those. Websites like Cashback Monitor track and display the different number of points you can earn through each portal, but I’m pretty focused on Chase points these days. The key here is to try to build the habit of checking for bonus opportunities before shopping — and not getting mad if you forget! It’s rare to get to fly a fancy, four-class international airplane on a North American trans-continental route, especially one of the Asia-based airlines that puts more effort and expense into service. 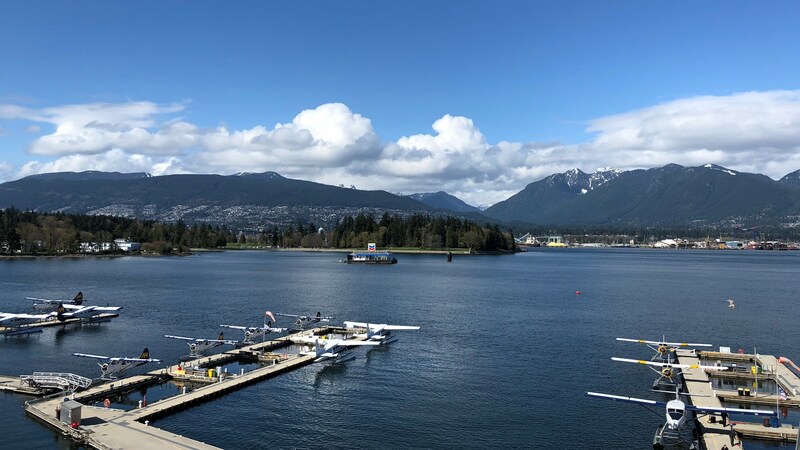 That’s where Cathay Pacific’s nonstop flight between New York and Vancouver is a special treat — a luxury 777 experience using the same North American points-redemption rate that you’d use to fly a standard 737. In other words, friends, a real points party. Really, business class is all you’d need on this flight, which lasts barely five hours, is timed for sleep, and doesn’t have wifi. That, too, is totally lie-flat, though with more than 50 seats in the section, more of an industrialized sense of mass comfort. It costs 30,000 American Airlines miles and a few dollars in taxes to book the business-class seat one-way, which is one of the gems of the system. Cathay is charging around $2,600 one-way (assuming a roundtrip ticket), so you’re redeeming at almost 9 cents per point in value — excellent. But if you have the miles to spare and want to splurge, or if it’s the only available option, or — in my case — if your very nice sister wants to treat you to an early birthday present, first class costs 55,000 miles and $5.60 in taxes. That seat is selling for around $3,300 one-way now (assuming a roundtrip ticket), implying a redemption value of 6 cents per point. Still very good. Note: You can’t search or book Cathay Pacific award tickets on American’s website. But you can use the British Airways site to search for Cathay award ticket availability, and then call American to book it. You can also book this route with British Airways Avios: 37,500 points and $20.50 in business class or 50,000 points and $20.50 in first class — including those transferred over from Chase Ultimate Rewards. This full route ultimately starts and ends in Hong Kong, where Cathay Pacific is based, with the stopover in Vancouver between JFK and HKG. It obviously costs more to fly the entire trans-Pacific route, and for that, I’d try to fly from New York nonstop instead of stopping over in Canada. But if you’re heading to or from the Pacific Northwest, it’s a fun and handy quirk on the route map. Amazon is now offering its Prime Rewards Visa cardholders 5% back on Whole Foods purchases. The credit can only be used at Amazon, which is limiting. But if you want to earn Amazon credit, and you shop at Whole Foods, it’s a good deal. A reminder that Whole Foods also sells gift cards to other merchants, which you should be able to buy with a credit card.